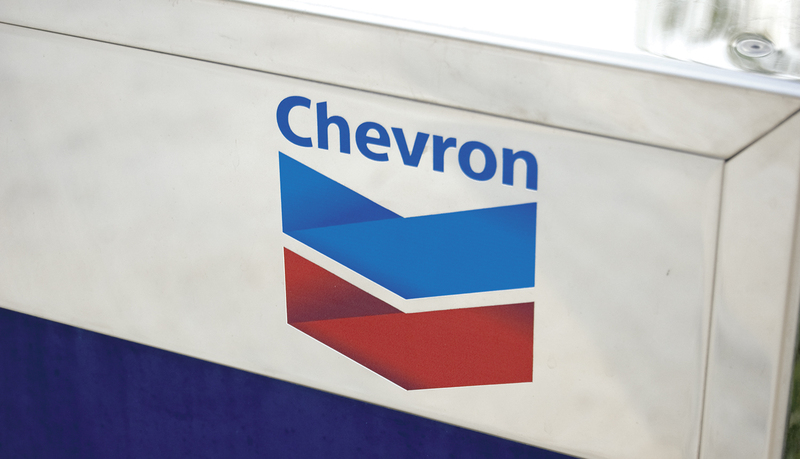 Chevron is a global leader in oil and gas exploration and conducting major operations in the world’s most important oil and gas regions. 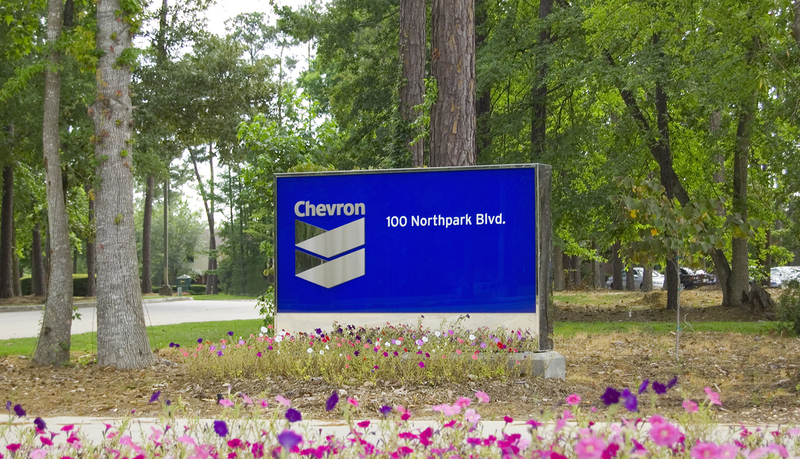 To help support its global operations, Chevron established several corporate campuses as well as industrial sites across multiple continents as well as several states within the U.S.
Chevron asked D|G Studios to develop and design a branded architectural signage solution for Chevron’s office towers in downtown Houston, and due to the success of the interior and exterior signage package, Chevron designated the design as the official corporate standard for all of its campuses. 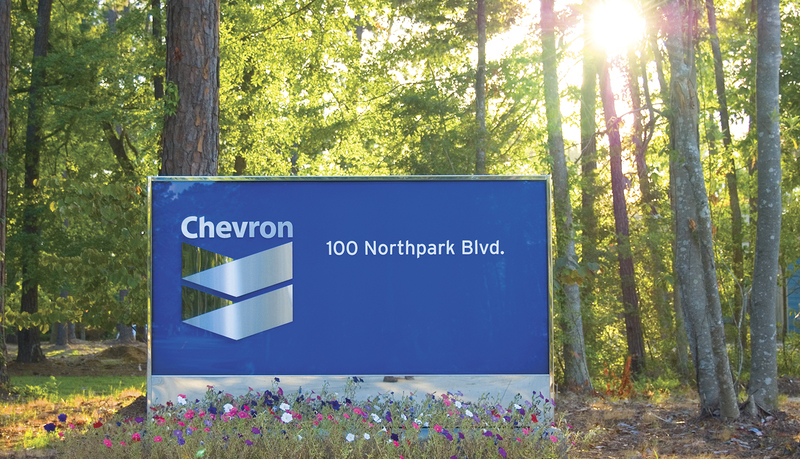 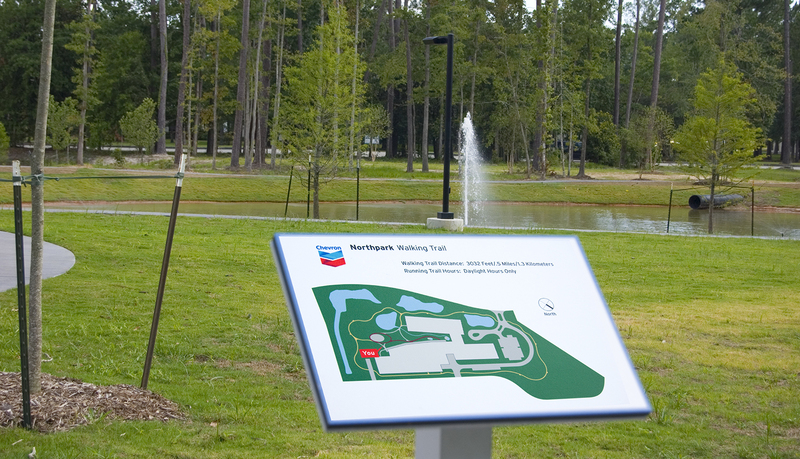 In order to implement the new signage standards on a global scale, Chevron needed to identify and partner with a turnkey signage solutions company. 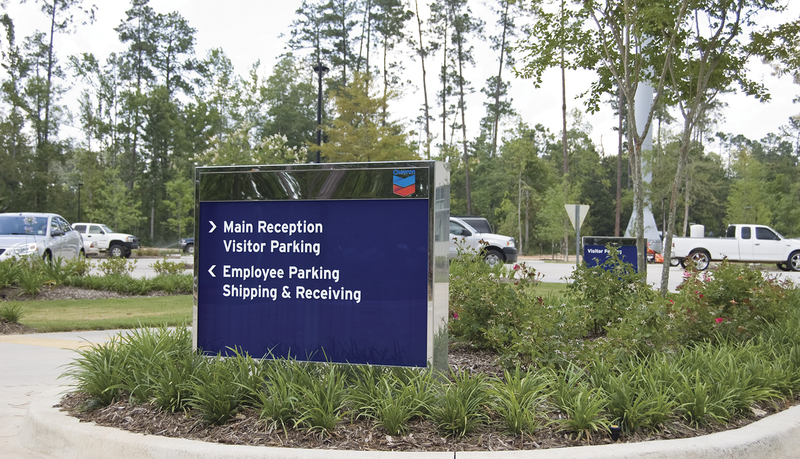 After consulting with ASI, Chevron’s facility management team designated ASI as a preferred vendor for implementing it new corporate signage standards. 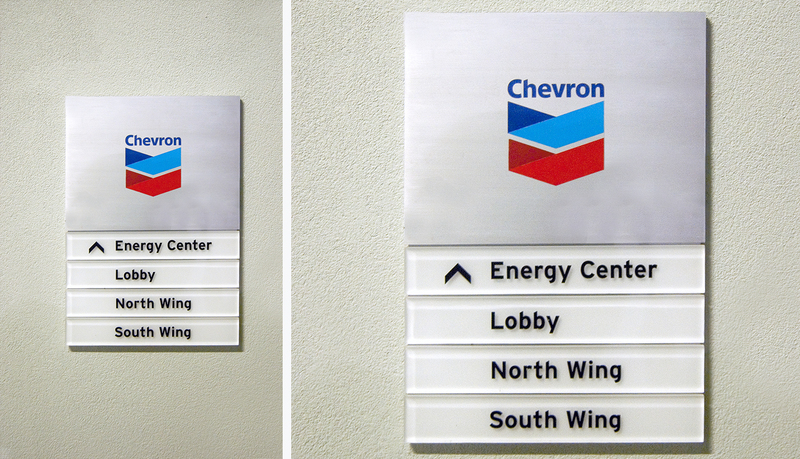 Since being named as a preferred vendor for Chevron, ASI has fabricated and installed branded exterior signage and interior signage solutions for Chevron locations throughout North America, South America and Europe. 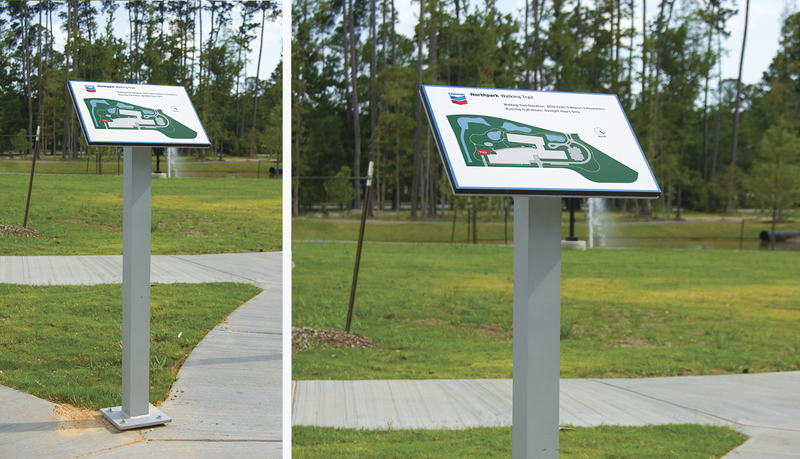 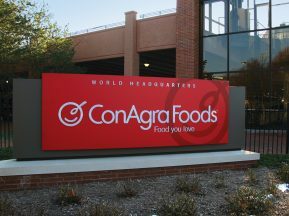 The branded signage solutions range from site identity monuments for operations plants to comprehensive signage and wayfinding solutions for new master-planned corporate campuses and industrial sites. 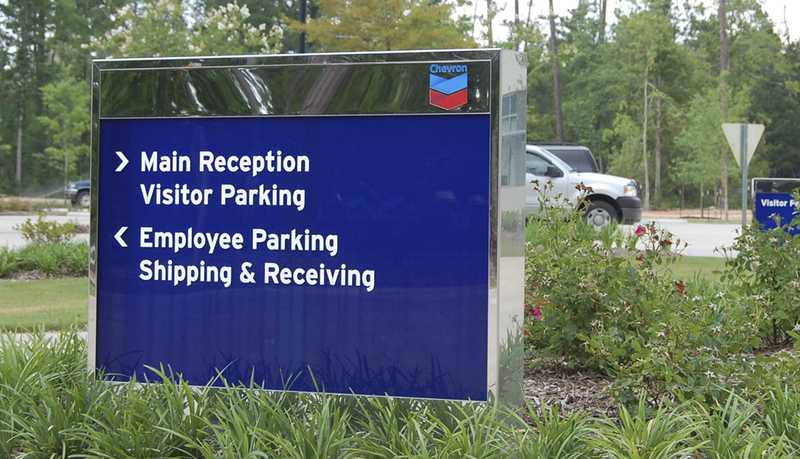 In order to bring the branded exterior signage solution to life, ASI performed an extensive analysis of the signage design and engineered an illumination solution that would ensure the signature Chevron blue color could be seen both day and night. 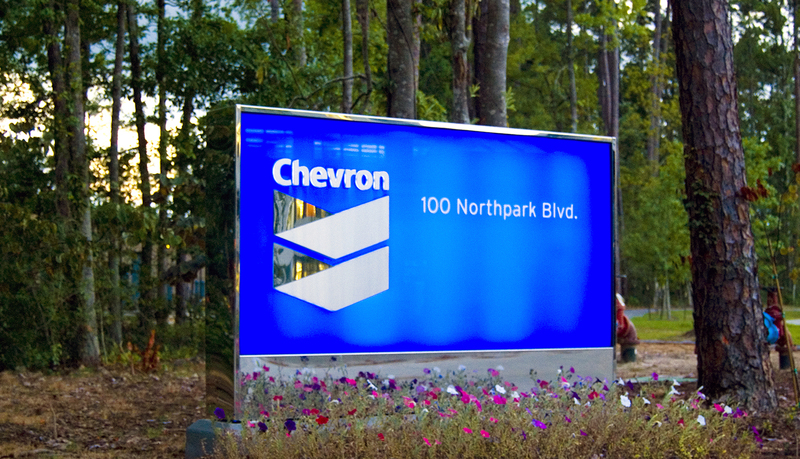 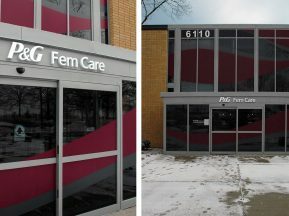 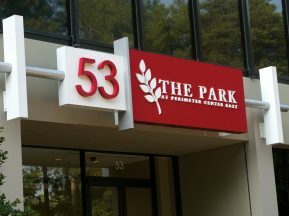 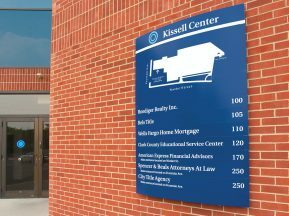 The featured corporate signage installation is from a site in Louisiana.